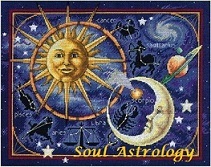 When the Moon Transits the 7th house issues of trust can surface, knowing who to trust. We can also be sensitive to the moods of others–it is, after all, the house of others, any others, including but not exclusive to partners. The 7th relates to intimacy and connections with others so at the time of the month that the Moon moves through your 7th house you may take a risk to initiate intimacy on some level. For example, I wrote to a client/friend this week about something very personal which is unusual for me to do (unless I trust them and also know them well). I realize that the connection to Luna in the relationship house supported my doing that. We can project like crazy and accept the projections of others when the Moon connects in here—this house is ruled by Venus and Libra and they are the queens of projection. We can also realize how dependent we are upon others when the Moon transits here–emotional realizations come to the forefront about how we “can’t do it alone” and how we need others. Any partnerships that seem to be working can be very satisfying to our feelings of security at this time. We become more aware of one-on-one relationships too and feel a deeper emotional connection to our traveling companions on our life path. We will tend to feel the “pathos” of others–feel empathy for others easily. Recently as the Moon was leaving my 7th house I was overwhelmed with the feeling of empathy for others and made this tweet post: “Feeling great compassion for the human condition. I want to give ALL in this world a hug!” –that’s a pretty good example of a 7th house lunar transit expressing. At this time we are more likely than at any other time of the month to be able to feel what it’s like to be the other person–able to see life through the eyes of another. The Moon is about our ability to “feel” and to respond emotionally. Realizing what other people ‘are’ and what they ‘are not’ is essential to our happiness and when Luna moves through this area of life experience we get a good feel for that. We may find also that a 7th house transit helps us ‘clear the air’ in relationships. 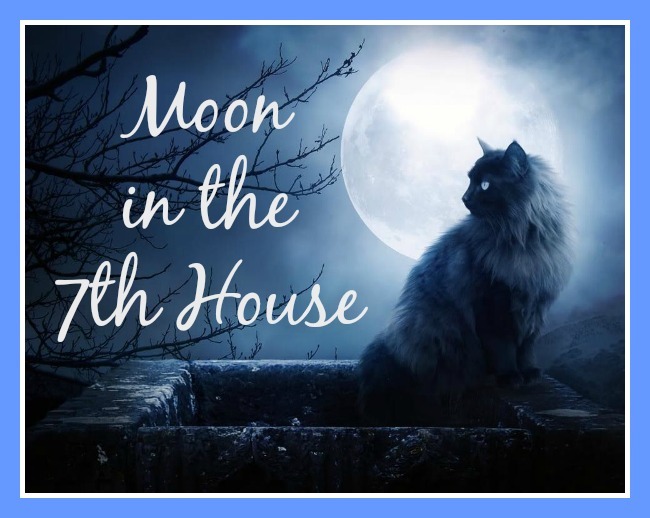 Also, I’ve been able to spend quality one-on-one time with each of my family members as the Moon has moved through the 7th house which is another archetype of a 7th house Lunar transit–sometimes we all get so busy this doesn’t happen. I’m going to track Luna more frequently through my houses and see what may happen consistently. Some call the 7th house the house of open enemies and I did have a taste of that the other day when something was stolen which brings in that first line about issues of knowing who to trust that can crop up with a 7th house transit. See you in the 8th house. So far my x-husband is doing well but still undergoes other procedures over the upcoming days.